An artist that makes crafts, a crafter that makes art. Which one are you? It doesn't matter. I recently learned a valuable lesson to never box yourself up as a creative talent. The reason is simple: Your life as an artist or a crafter is part of your life, and your life is part of your brand as a creative person. Art can never be boxed up, categorized or labelled; art deserves to be expressed, an artist deserves to expand his or her own art. If you have been building your own creative brand and making art or crafts for a living, you will be pleased to know that now there is a chance for you to show off your talent and showcase your brand. 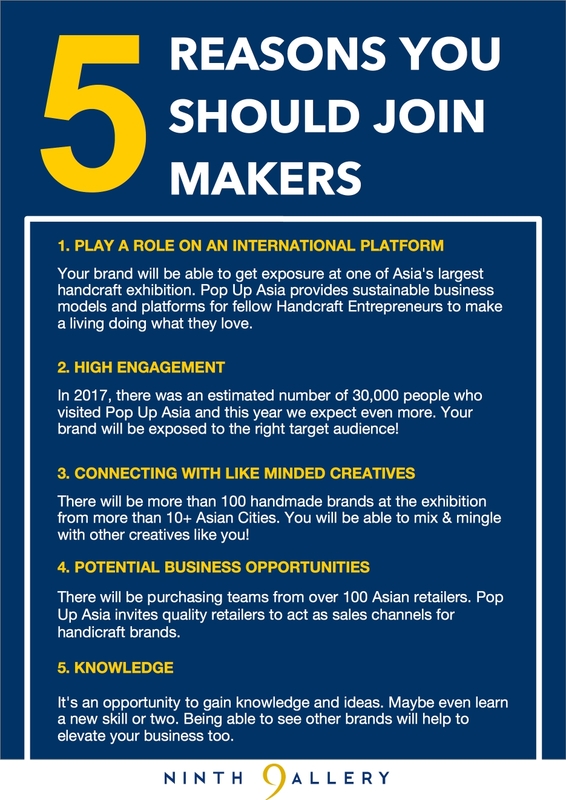 If you think you have what it takes (which I strongly believe that you do), read on and find out how you can be part of MAKERS - the first handcraft brand contest in Malaysia and Singapore. MAKERS is Malaysia's first ever handmade / handcraft competition by Ninth Gallery and Pop Up Asia. 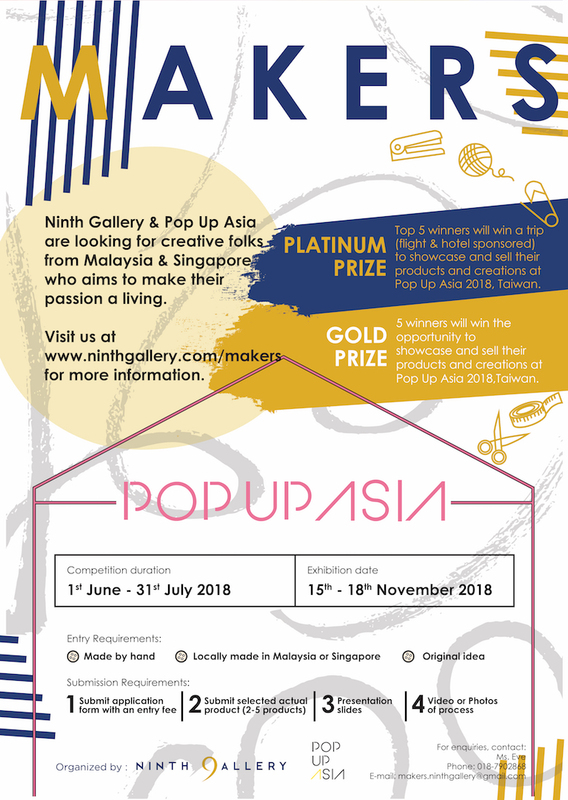 This creative competition will run from 1st June 2018 - 31st July 2018. 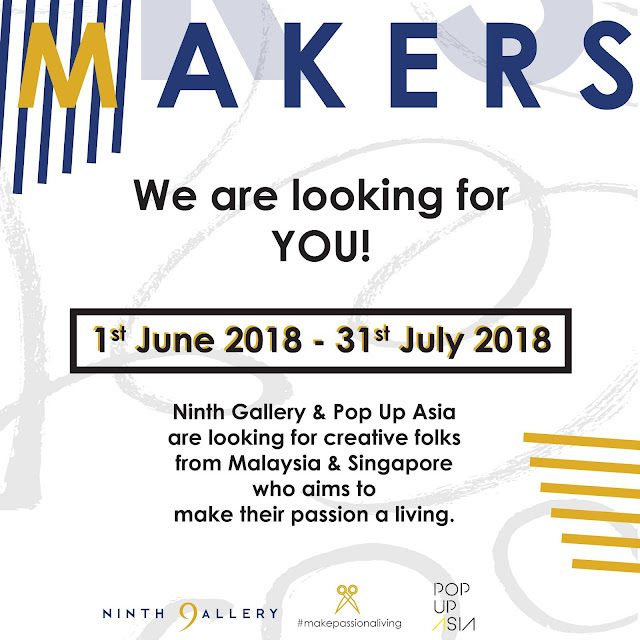 MAKERS is a project initiated for local handicraft artisans and designers in Malaysia and Singapore- that's you! 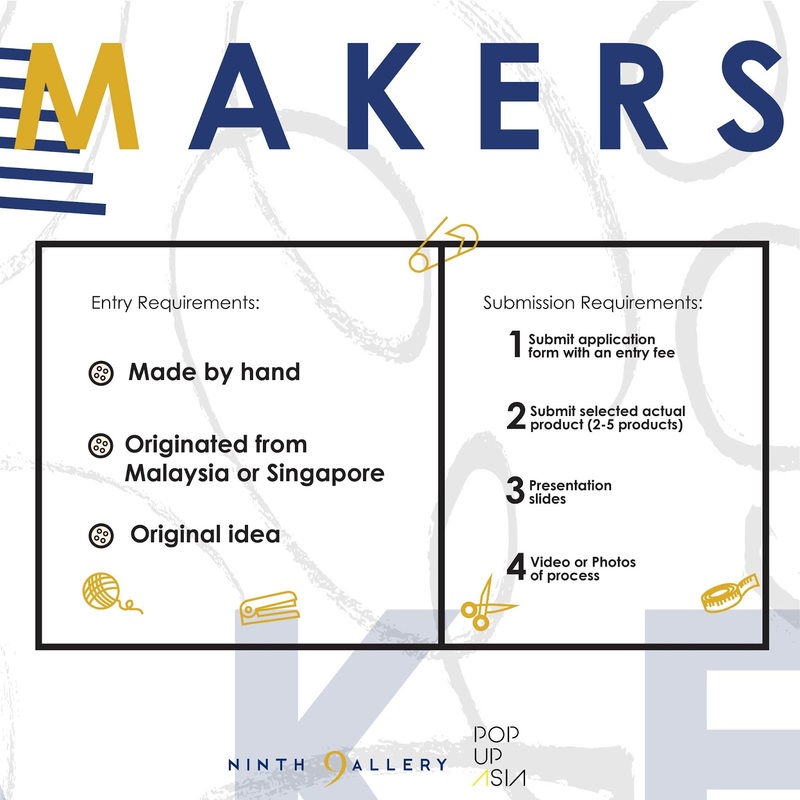 Submit your most innovative and original art or craft works. 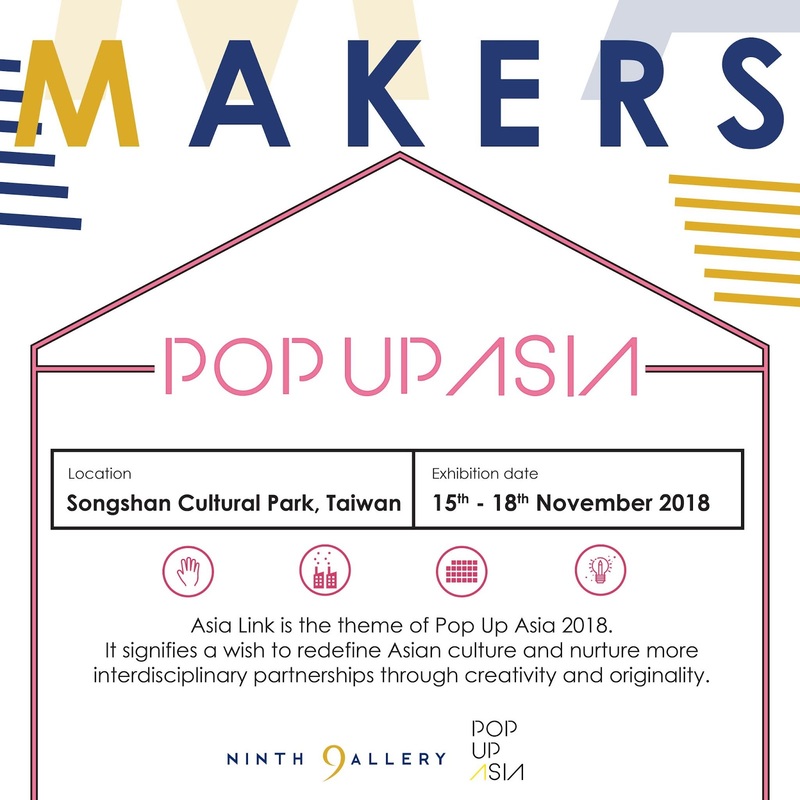 Join MAKERS and stand a chance to win a trip to POP UP ASIA 2018, Taiwan! Top 5 winners will win sponsored trip: a flight and hotel accommodation to Taiwan where you will get to showcase your brand and sell your products together with talents from all over Asia in one of Asia's largest creative design expos. 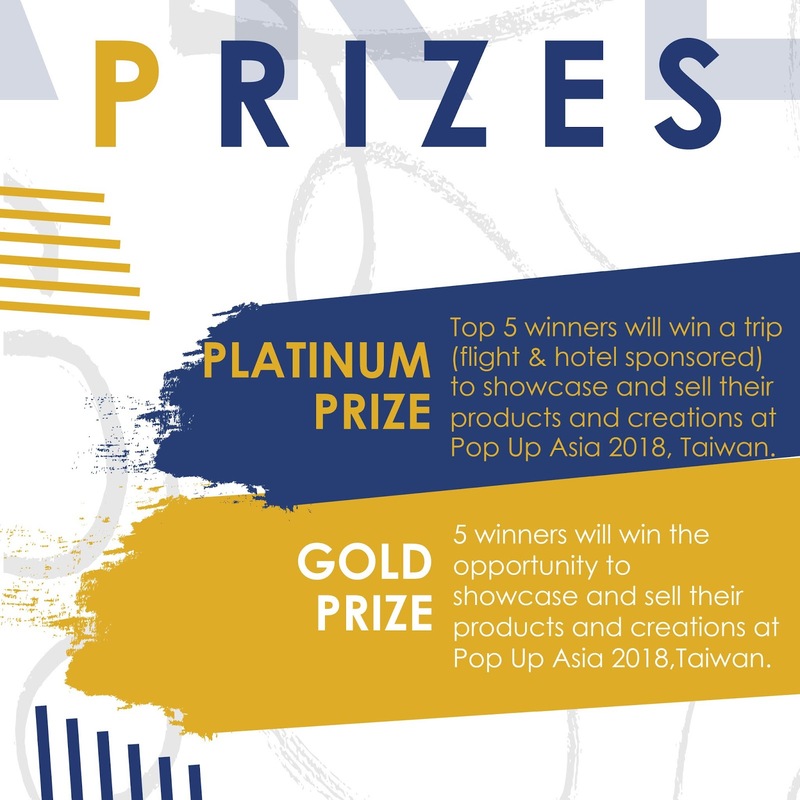 Where can I find out more about the competition? 1. Must be handmade and high quality handcrafted. 3. Must be original! All handmade products should be an original creation and idea that enhances the lifestyle of users. 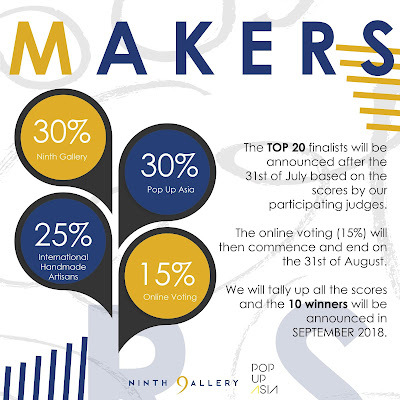 Once scores have been tallied up, a list of Top 20 finalists will be announced after the 31st July. The last 15% votes are up to you! You will need to rally up votes from your supporters; fans, friends and families to vote until the 31st of August 2018. The selected TOP 10 MAKERS will be announced in September! Who will make it through? Let it be you! Hurry, head over HERE to submit your application! Are you a handmade biz owner? Get freebies, tips and cheat sheets!